The Field of Study and Research Program Plan is the single-most important part of your MEXT Scholarship application at the graduate level. Whether you’re applying for a research student status, Master’s Degree, or PhD, this is the single most important element that you have any control over. I’ve discussed that in a previous article, but I constantly get people asking for more details, so here it is. So, it’s understandable that most applicants get more anxious about this form and what it should include than anything else in the application process. 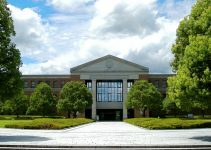 In Japan, the Field of Study and Research Program Plan (研究計画書 kenkyukeikakusho) is part of any graduate school application, regardless of MEXT scholarship. There is a set format and elements that Japanese universities are looking for. As a foreigner, you wouldn’t necessarily be expected to know all of the elements of the Field of Study and Research Program Plan, but if you do hit them, you’re going to stand out in a good way. I’ve researched several universities’ guidelines for what they’re looking for, professors’ blogs, and prep school websites to put together the elements below. I hope they help. (My sources are available at the bottom of the article, but they’re all in Japanese). Disclaimer: This is all only my own research and conclusions. It has not been formally vetted by any MEXT officials, Embassy staff, or grad school admissions committees, yet. As of the 2018 application, the format for the Embassy-recommended MEXT Scholarship application and University-recommended MEXT Scholarship application are different, so I’ll keep the differences straight as much as possible below. Font Size: The default font size in the Field of Study and Research Program Plan that you download from the MEXT website is 7.5 pt, which is ridiculously small and unreadable. Feel free to change it to a reasonable Times New Roman 12 pt. Titles and Formatting: Feel free to format your Field of Study and Research Program Plan to make it more readable. I recommend titling each of the sections mentioned below and breaking it into paragraphs to make it easy on the professors. Nobody likes a big old wall of text. If you have to add extra pages to account for the formatting, that’s OK. But don’t go overboard. Tables, Graphs, and Diagrams: If they add to the document and are necessary to answer the questions below, go ahead and include them. But again, keep it within reason. References: Include a list of references on an attached page. I’ll get to it below, but it’s a good thing to have. This question previously only existed in the Field of Study and Research Program Plan format for the Embassy-recommended application process, but was added to the form for the University-recommended MEXT application process in 2018. Recommended Content: Describe what you have researched in the past that led to your interest in the topic you will pursue in Japan. Since MEXT requires that you study a topic that you majored in in the past, this is your opportunity to show the connection. Make sure that you describe your interest in terms of what it will contribute to the field. This is not a personal statement. “I am interested in microfinance because my family was poor” is not a good explanation. “Based on my past research into microfinance in developing countries, I think a systematic examination of the impact of microfinance-supported entrepreneurial ventures in former agricultural areas of developed countries has impacted population movements and rural revitalization is necessary to apply effective practices both in Japan and abroad” is better. To strengthen the statement above, you could go into more detail about why your research would be beneficial to the field in general, perhaps with an emphasis on how it could dovetail with your desired advisor’s research. This section is where you will cover the academic aspect of your research (as opposed to the practical process of research, which we’ll get to later). Recommended Heading: None. Simply center the text at the top of this section. Recommended Length: Title and Subtitle, like it would be on a completed thesis. Recommended Content: This is your sales copy. It needs to grab attention so your reviewers read further. You are not locked into using this title. Like almost everything else in your Field of Study and Research Program Plan, it will probably change once you begin your research under your advisor. But it’s still important to have a solid idea at this stage. Recommended Content: This should take a format like “I intend to research [SPECIFIC FIELD] from [METHOD] perspective in order to [OUTCOME].” It does not need to be exact, but it does need to cover those elements. This study will elucidate how specialist knowledge held by outsiders to rural revitalization projects can contribute to those projects, by examining the example of Yuzu farmers in Nomi City, Ishikawa Prefecture’s contributions to local efforts by way of surveys and interviews, in order to advance the effectiveness of rural revitalization projects across Japan. Yes, the original Japanese is a horrible run-on sentence. Recommended Content: Describe the research that exists in the field and past approaches briefly. This should be concise and just enough to establish that you understand the state of the field. If you can state “It is generally accepted in the field that . . .” or cite the prevailing theory with an author, that’s perfect. (Make sure that author makes it into your references). Recommended Content: Evaluate the past research in terms of problems or opportunities for further exploration. Don’t be harsh or overly critical, but point out conflicts in research, examples that have not been fully explored that could alter understanding of the field, etc. Make sure you also discuss how your research will contribute to solving the problems you identify. This section is where you establish how your research will be original. Recommended Content: Your first paragraph should cover the research question you intend to answer and how – an expansion of your detailed research theme. The second paragraph should outline the possible academic and practical benefits of your research. Remember that not everyone is an expert in your field, so try to keep the jargon out of it. You want your research to have value outside of your narrow field, so you have to be able to describe that to non-exerts. When discussing the benefits, it would be beneficial to mention specifically how they apply to Japan, your home country, and/or bringing the two closer together. Your research program plan should be a detailed, step-by-step description of how you will go about the research you described in the previous section. This is where you establish that your research is viable, especially given the time restraints of your degree. Recommended Content: In the first paragraph, explain your research methodology (theoretical, statistical, etc.) in 2-3 sentences and why you chose this method in another 2-3 sentences. In the second, shorter paragraph, describe how you expect your method to solve your research problem. Recommended Content: Detailed explanations of the steps you will go through in your research program (2 years for Masters, 3 for PhD). For each step, you want to go into detail. So, “literature review” is not sufficient. What kind of sources do you plan to review? They should be in your references section already. This is also a good place to mention specific coursework you want to take (and why), especially if you have your goal narrowed down to a single university or there are similar courses at each of your target universities. If you plan to do field research (and you absolutely should) then “collect examples” is not enough detail. You should propose a more specific approach, including the type of examples, where you will get them, and why that approach is best. For example, are you going to do a survey study or interviews? Where? Why? One Keio professor mentioned in his blog that he expects his advisees to do field research twice during their degree. For example, students would do a survey study first then return later for interviews to go into more detail, or do field studies in two places for comparison purposes. Your Research Program Plan is a strategy, not a concrete plan. You are not locked in to doing things exactly this way, but having a solid plan at this point makes you look like a more responsible and dedicated applicant. This isn’t a section of the form, but you should attach a list of references nonetheless. Include all the books you read while preparing your Field of Study and Research Program Plan as well as the books and articles they led you to that you intend to read in the future. List your references in alphabetical order, using the format most common to your field of study. Before asking any questions in the comments, below, I recommend reading through the Field of Study and Research Program Plan FAQ. 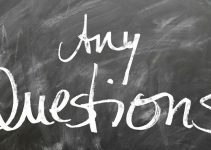 You can ask your questions in the comments here, on the FAQ page, or by email and I will answer them by updating the FAQ and letting you know when the answers are available. For tips on getting your questions answered faster (and an explanation as to why I can’t always answer quickly), please read the MEXT Scholarship Application FAQ top page. I’d also recommend signing up for my mailing list, below, to get notified whenever I have updates to any of the FAQs or new articles about the MEXT scholarship! First off, much thanks for this succinct break down. We as applicants owe you!. Secondly i have a question related to the specificity of the research topic I”ll have to develop context first. For my Civil and Environmental Engineering Undergrad (this is what i majored in) we were required to research and submit a “Final paper”. Specifically, mine was based on database building and Management for Solid Waste. Now, id like to know if I’m bounded to further in a topic related to Solid waste Management or if I’d be able to explore a new field in Civil and Environmental Eng. Your topic does not have to be an exact extension of your undergrad final paper, it just has to be close enough that you can show that you have the necessary background in the academic field to be able to conduct advanced research. I would also recommend that you be able to draw a connection from one to the other – for example, highlighting something in your previous research on solid waste that sparked your interest in your new topic and what you hope that new research can accomplish. For the specifics of the research plan (time frames etc. ), how would you suggest formatting this when applying for a taught masters? More specifically, I am worried about deciding my timeline when this might not be in line with the semesters/classes already decided by my three different universities. I am not aware of any “taught masters” in Japan. Every degree program here that I know of requires some original output or culminating project. If your final project for your degree is not a thesis but some other output, then I would recommend considering that to be your “thesis” and modifying the other sections appropriately. Of course I recommend checking the semester and course schedules at your chosen universities and matching your plan to that schedule as best you can. I heard that the research plan is one way for the screeners/professors to check if you are also adept in writing and communicating your research work properly. I’d just like to ask your opinion, do you think it’s better to use the first person in writing the Research Plan? i.e. “my proposed research…” “I believe that…” or should I stick with the traditional third person writing? I’m sorry if it sounds trivial. Thanks so much for your help! Every time I write a comment, I feel the need to thank you profusely for all your help and effort. Again, you are a godsend! Best regards! Yes, one of the purposes of the FSRPP is to show that you are a clear and effective writer (the interview later will do the same for speaking). Parts of the document I think require you to write in first person, such as your “Current Field of Study”, but as you point out, most academic writing avoids it. When you describe your research (primarily in question two and three), I would recommend that you stick to the academic conventions for your field, including writing in third person. When you describe your background as well as your intended activities, such as community interaction or publication/dissemination efforts, then the first person should be fine. At the end of the day, I do not think that writing in first or third person is going to have a significant effect on your acceptance, but it is just one of many small things you can do to make your paper more readable to reviewers. Thank you for this helpful guide. I have a question on “past field of study” and “present field of study”. I have graduated with bachelor degree and currently is working. Is past field of study referring to my undergraduate thesis? What about “present field of study”? Both terms, “past field of study” and “present field of study” refer to what you studied in your last degree. MEXT uses “present field of study” to refer to what you studied in your last degree, but I find that term to be confusing for applicants who are not currently still enrolled in the degree, so I use “past field of study” instead. In either case, you should refer to your undergraduate major/thesis. to begin with,i would like to thank you for this useful guide. And i want to ask a few questions regarding mext applications. But i couldnt find any forms that explain the contents of them.So i couldnt understand what kind of documensts they are expecting from me? What would you recommend me to prepare? I have never heard of those documents being part of the MEXT scholarship application, so it must be something that particular university is asking for for their own admissions. Unfortunately, without any context, I’m not sure that I could do anything more than guess. Is there any way you could share the exact guidelines they sent you or the context? I know you said that the length should be no more than 3 pages, but I’ve been talking to some successful candidates from the past and some of them wrote 8 and 10 pages of research plan. Would it be alright to include a lengthy and detailed research plan and then a condensed version of 2-3 pages in the application? I see in the comments that a lot of people did not pass the initial application screening. Are there any common problems that people make in application aside from not meeting the elegibility requirements such as GPA etc? I have also heard from a few outliers who wrote longer plans, but I would be surprised if the reviewers had read through the entire thing, unless something caught their attention in the very beginning and got them excited about it. In my opinion, going long does not make you look more prepared, it makes you look less organized and less able to communicate clearly. I would not recommend it. For the initial application screening, the universities and embassies are only required to give you feedback if they reject an application (e.g. do not screen it) because the applicant did not meet the minimum eligibility requirements. For applicants who are screened but ultimately not accepted, they will not receive any feedback on why their application did not pass. In my experience from the University Recommended MEXT Scholarship, it’s all about the competition. Even applicants who meet the minimum eligibility criteria might be dropped during the document screening process because the university/embassy wants to cull the applicants down to only the top candidates before the tests and interviews. GPA and quality of Field of Study and Research Program Plan are going to be the essential factors in that decision, based on what I have seen. Since you can’t control your GPA at that point, the best thing to do is to have a well-thought-out and realistic Field of Study and Research Program Plan. I have a few more questions, apologies. Would if be appropriate in the field of graphic design (in my case book design) to include pictures of designers’ work that I plan to research in the FSRPP? Would it be necessary or beneficial to include the work I’ve done in the past in the application? I heard from a Japanese studies applicant that their interviews were conducted entirely in Japanese because the course was taught entirely in Japanese. The schools I am applying for are also Japanese only. Would it be possible to know if that might be the case for the Canadian embassy? I would only include graphics (or any other visual references) if they were necessary to your argument. If you are going to refer to elements in the book design as part of your research description, that could work. For applicants in fine arts fields, which would include you, yes, you should include samples of your work. The Japanese Studies scholarship requires a high level of Japanese ability from all applicants, so it makes sense that the interviews would be conducted entirely in Japanese. However, for the Embassy Recommended MEXT Scholarship, I would be surprised if the entire interview was in Japanese. It is likely that the interview panel will include members who are not fluent in Japanese. But you would have a few questions in Japanese mixed in there to test your ability. I would recommend that you practice your interview questions and answers in both English and Japanese as you get closer to the actual interview! Hola, tendrias algun proyecto de investigacion que podamos usar de guia? I wrote a research proposal but I did not detail my subject, I just wrote the impact of international political economic put I did not specify in which aspect of the international political economic will impact my research subject,,, will this affect my research quality ?? should I be more specific to show them that I understand my research not only wrote a general statement like what i did? I highly recommend that you build your FSRPP around a specific research problem that you want to examine and have your methods, and possibly even your hypothesis, in the FSRPP when you submit it. Just saying that you want to study a particular field will not help you stand out. You should propose specific research and be able to show its potential impact, for the best chance of success in your application. can I know what is FSRPP ? FSRPP is my shorthand for the Field of Study and Research Program Plan. You need to find a research question that you want to pursue and then format your proposal as I outlined in this article. If you need help formulating a research question, I am working on a book that will guide you through that process, but in the meantime, I recommend talking to your current academic adviser for pointers! Thanks Travis for your wonderful job. I learnt about this blog much late after I have submitted my application form. I have a serious worry with regards to my research plan because its barely up-to 110 words and there is no reference attached. Though I intend to do my research on photovoltaics for electricity (SOLAR ENERGY) I only specified the nature of technology am going to apply in the research without much details. Will this affect my chances? I’m afraid that 110 words for a Field of Study and Research Plan would be too short. There is no way to properly describe a research plan in so little space. I am sorry to say that I think it will seriously hurt your chances, because this document is probably the most important one in the application. If you don’t make it through the review this time, then I would recommend that you spend more time preparing and submit a robust and well-researched Field of Study and Research Program Plan for the University Recommendation MEXT Scholarship application later this year or for next year’s Embassy Recommendation. I think i am saying this form the behave of everyone.. you are amazing and thank you for all the help! I recommend that you keep your research proposal around 3 pages (not including any extra pages required for graphs or bibliography, if applicable), but I have heard some people having success with plans up to 5 pages. 1800 words should fall between those numbers. The important thing is to be clear and concise. Remember that your reviewers are going to be reading dozens or hundreds of these, so they may not give your plan as much attention as you want. You need to grab their attention and make it easy for them to understand and get excited about your research, as best you can. 1) For copies, Do we have to make colored copies or white and black? I am talking about the copies of certified transcripts, certificates, medical examination report, lab results reports, application form, study plane, theses abstracts, etc. I am afraid that colored copies of certified transcripts and certificates will cause confusion for reviewing staff because they might find it difficult to distinguish between the original and colored copies. 2) Do we need to staple each set of papers together? 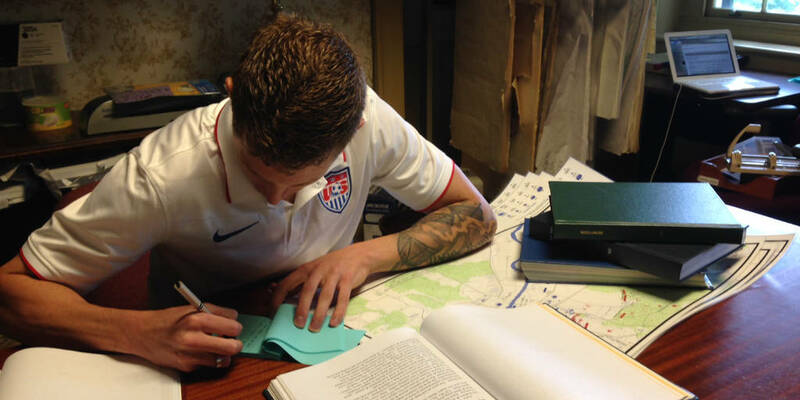 for example the original and copies of study plane together and the 3 application forms together, etc. 1) There is no specification, but black and white should be fine as long as all details can be clearly read. 2) I recommend using paperclips to keep each individual document together (for example, each copy of application form), but I recommend never using staples for anything and I would not recommend attaching multiple copies of the same document to one another. Simply stacking them in order in your application should be enough. Thanks for making this guide. My only regret is that I didn’t find it sooner as I realize now that the Field of Study form I have been preparing is woefully inadequate, but thankfully I found it in time. My question is: while I have some familiarity with the field I want to go into, unfortunately the only papers I am familiar with from the field (Quantum Computing) are written by my target advisor, with whom I have already established contact. Would these be sufficient as references or should I go find some last minute sources to include as reference? I would recommend that you find some additional sources – not only for the sake of the application process but also to broaden your knowledge in the field. You should also have some knowledge of sources from your previous studies, I assume. As of the time I am answering this, I assume it may be to late to include those sources in your field of study and research program plan, but having that knowledge for the interview and future conversations with your adviser would be helpful. Thank you so much for writing this guide, it has been really helpful. I applied to Todai twice through the university and was twice rejected. Nonetheless I didn’t give up and I raised my head from dirt and decided to go the embassy route instead and do a doctoral degree. I have just submitted all my application documents to the embassy. However I haven’t contacted the professors yet from any of my 3 choices as I was still unsure which of them to choose. Is it too late to contact them now? Or should I wait to hear back from the embassy? 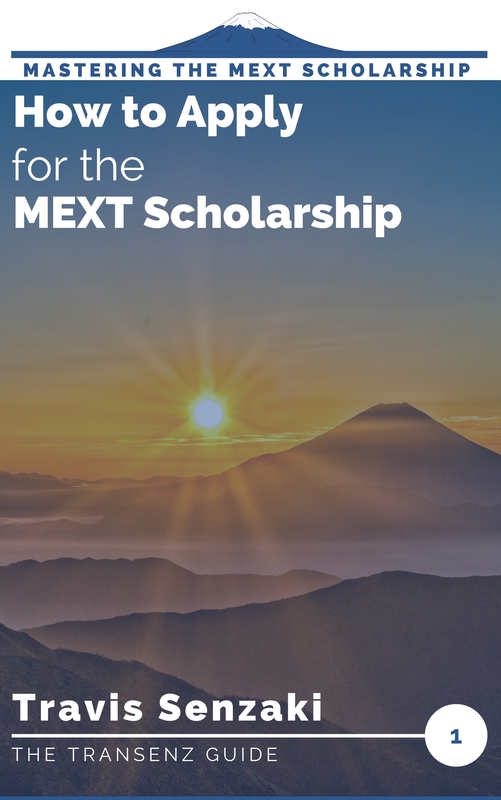 Applying to Todai for the university recommended MEXT scholarship might just be one of the most competitive and challenging ways to approach the MEXT scholarship! The embassy recommended approach should prove easier for you, especially with your experience. You do not have to contact your universities to request a letter of acceptance until after Passing the Primary Screening. So, if you haven’t gotten in touch while preparing your application and Field of Study and Research Program Plan, you may want to wait until you hear back from the university at this point. 1- I only have 6 days to submit everything and I just knew about the scholarship, do you have any recommendations on what to do? all my papers are ready except the field of study or research plan, but I know what I am going to do. And the Placement preference form. What should I do? 2- I didnt understand the time frame exactly but what I want to do is MBA in HR. Should I just write: The first 6 months I am going to consult with my supervisor about the paper and read some articles about it in the same time am going to learn Japanese and the next semester am going to finish the paper and then apply for MBA in HR for the whole next year so 24 months in total. Is that what they actually want? or something else? 3-The recommendation they ask in the papers ( recommendation from the dean ) I have recommendations by other professors in the university but not the dean, is that accepted or not? 4-In the Placement preference form, could you please give me an example or tell me the steps to do it as fast as i can ? Thank you very much and I hope you would answer my questions very soon. 1- For the placement preference form, I suggest you read my article on finding universities and professors in Japan. The article you commented on should help you complete the Field of Study and Research Program Plan. 6 days really isn’t much time to complete it, but you can try if you’re willing to put in a lot of time and not sleep much! 2- You should have a specific topic or research project that you want to complete through your MBA and your timeline should reflect your progress toward that goal. Your timeline should include all of the research and writing phases, including fieldwork, plus the courses you want to take in the meantime. 3- For the Embassy Recommended MEXT scholarship application, a letter of recommendation from you academic advisor is sufficient. 4- See #1, above. I do not yet have a sample created for that, unfortunately. If you can’t get everything done in tie for this deadline, you may want to consider waiting for the University Recommended scholarship application period later this year or for next year’s application period so that you have the time to put together a stronger application. Thanks for all your information it’s very helpful but I’m still worried..I wanted to ask you do I need to fill in the 3 professors names I only have one professor so can I leave the other 2 empty. You can leave the others empty, but you will face questioning about that. So, you would need to be prepared to explain why only that professor is qualified to supervise your research. Filling in only one professor is a bit of a risk, since if you do not get a letter of acceptance from that professor’s university, you would not be able to continue. I recommend looking up and listing a few back-up professors! This is one of those last minute epiphany doubts just before applying. First, there are two colleges with English course that I am applying for. The first one starts at September and the second one starts in April. Since the college whose course starts in September is my first choice, I wrote the timeline starting from September. Will the second preference college reject me when they see such a timeline? Also, since my first preference course only starts by September, does that mean that the Embassy will only pay for three of my semesters? The course is a two year course, but would I have to pay for my own expense in the last semester? When you write a month-by-month timeline, you do not need to specify which month it starts with. For example, you could write “Month 1-3” instead of “Sep – Nov”. Then your plan would work for either one. However, I don’t think the university will reject you over that. If you are enrolling in a Master’s degree through the Embassy, you will get funding for the full four semesters, regardless of what semester your program ends in. The only tie the scholarship duration changes based on your arrival month is if you are a research (non-degree) student. Thank you for your helpful guidelines. I am a bit confused on where to attach/Paste my research proposal as a solid set? OR shall I break it down to answers for the specified questions? You need to fit your research proposal into the questions asked in the form, so you may need to break it up and edit it slightly. which one suits my situation? doctorate or non regular student ? I am confused since I have heard that there must be a period of training before starting doctoral program. Should I choose a non-regular course student or doctorate student? My supervisor sent me a recommendation letter from overseas by post in an unopened envelope with stamp and signature on the envelope seal. However he said he just put original recommendation letter. According to guidelines, we should submit one original and 2 copies. the problem is that it is difficult for me to ask the supervisor to send me copies again by post, because the first one has took a lot of time and effort to get it from overseas. what should i do? should I open the envelop and make 2 copies ? what if I submitted the original one only? 3) I have read in the guidelines, it was written that doctorate applicants are required to confirm directly with the school of their choices before applying. How can I confirm that? I want to know the strategy. Does that mean I should ask for pre-approval letter? by the way, I have asked administrative offices in some universities about the possibility of applying to phd in clinical pharmacy and they simply replied by email that you can apply, does that email response enough to proceed to application process although some of such email replies are from general mext scholarship offices, not from schools themself. I get more questions every day than I can answer, so it does take a while sometimes to reply, but I do not ignore any questions. I wanted to ask that if could apply even i don’t know Japanese. I am applying for Structural Engineering, and my Japanese proficiency level is zero. should i still apply? There are many universities in Japan that teach graduate degree programs in English, especially in engineering fields. If you can find at least one degree program in your field taught in English, you should be fine! I recently wrote an article about how to find English-language degree programs that might help you. thank you for this detailed explanation…its very much useful. I did have one small doubt regarding the research timeline. I will be applying for a masters course in Japan for 2019 intake….so should the timeline include the 6 months Japanese language training program in it (since I don’t know the language) or not ??? Yes, I would recommend including those six months in your timeline, but understand that you will primarily be focused on learning Japanese language at that time, so your free time for research will be limited. It would be good to list them as time to consult with your advisor and start a literature review, or something to that level, but don’t expect to accomplish much more. You may also want to note that those six months are part of your plan only if the university decides to enroll you in the language program. Ultimately, it is the university’s choice, not yours. I want to apply for MEXT scholarship. And I have 2 questions. 1. In the Placement Form there is a field , which is called ” Name of Graduate school”. Should I write something there, if I am applying for Master’s degree? Or I should fill only “Name of University” field and “Name of Professor” field? 2. In the Field of Study Form near every question is written “write in Japan”, but I don’t know Japan language. Can I fill that form in English language? 1. If you are applying for a Master’s degree, you would need to fill in the name of the graduate school at the university you are applying to, along with the name of the university and the name of the professor from that university that you want to study under. 2. I think it says to write in Japanese if you have Japanese ability. You should fill in the form in English if you are applying for a degree program taught in English and in Japanese if you are applying for a degree program taught in Japanese. I am currently working as R&D engineer for 4 years in a developing country. I have a colleague that we worked together for that long. We are intending to apply for MEXT scholarship, we have a certain multidisciplinary research we want to conduct. So our research plan will seems very similar to each other. And I didn’t find any guidelines about the research whether it could be performed by single person or a team. Is it applicable to have a two person on one research in MEXT? This is an individual application process and there is no guarantee that both of you would be accepted, so I would recommend that you write your research plans as if you will conduct the research on your own. If you are both accepted and end up in the same lab in the same university (or different universities but able to work together), then you can alter your plans and work together later, but for the purpose of the application, I recommend moving forward as individual applicants. Of course, you also want to make sure your research plans are at least a little different, so you don’t come across to the review committee as having copied one another. I’ve been reading all your articles and they’ve been so helpful in this process, however, I have a question about the timeline for the specific research plan. I’m applying as a research student since the universities I have interest in all ask to apply like that at the beginning of the program. Because of that I decided on just staying all the coverage of the scholarship (if granted) as research student and then try to apply for an extension to continue with the master degree. I’m aware if I get selected I will be taking the 6 months Japanese course so, how long would my research plan have to cover? Do I cover the entire 2 years even when 6 months will be mostly of language study or do I just cover the remaining time? Also, I already found possible advisers on the universities directories but in the case of 武蔵野美術大学 I can’t seem to find professors contacts; like they just have a big list with names and their curriculum but not email or website so, does that mean I don’t have to contact them? Thanks for taking your time to read this and help us all! For your time frame, I recommend that you include your research student time as well as your degree time, if you’re planning to do one major research project. Most students spend one semester as a research student (plus the semester of Japanese language), or a maximum of one year, if they have to wait a full year to take the entrance exam to get in to the degree program. You can include the semester of Japanese language study, but your focus during that semester should be on language (state that in the plan!). That semester counts toward your maximum amount of time as a research student (2 years if you arrive in Japan in April, 3 semesters if you arrive in the fall). 1)	You recommended to apply for more than 3 universities to increase the chance of acceptance, how can I choose more than 3 universities while in the application form there are just 3 blanks to fill in? 2)	In field of study and research plan form, it was written literally in the form ‘’Outline your field of study on this side and the specifics of your study program on the reverse side of this sheet’’. What do they mean by the word ‘’specifies’’. Another thing is that, I am totally so confused about what and how to write on the reverse side of the paper. 3)	What do you think if my research plan 8 papers including references? 5)	Some documents (certificate, transcripts, recommendation) are required to be submitted as original documents although they won’t be returned, however, my university just gave me one original copy, what should I do in this situation? 6)	Finally, I suggest that if you could look for candidates who were accepted for MEXT scholarships in the previous years to volunteer in sharing their experience and documents because that will be very useful. I saw your question on another article and answered it here. This post is great! Thank you for breaking down the research plan elements. 2. I would prefer to take a Masters degree in this subject since my previous educational background was in business/management. Since 2007 I have been involved in sports (college varsity athletics, martial arts practitioner, and recently co-founded a martial arts school) that is why I want to pursue my graduate studies in this subject. I want to my future studies to focus on the business side of sports – sports management, sport marketing, sport event and facility management, etc. – as well as the effect of sports in society. Thank you for your time and appreciate all your efforts in helping aspiring mext scholars! I’m glad you were able to find some programs that would work for you! My next article on this blog is going to be about how to find programs in different fields :). 1. I should clarify that applying to a non-National University does not necessarily reduce your chances of getting the scholarship. If you have a non-National University as your first choice in the placement preference form, there is a higher chance that you would not get placed in your first choice. Of course, having only one university in your field could make it more challenging to get the scholarship. 2. You have to apply in a field that you have majored in before or that is related to your previous research field. In this case MBA to sports management seems like it would be possible. As you mentioned, you are changing fields to some degree, though, so I agree that it would make more sense to start with a Master’s degree. (Changing fields is the only time I recommend this). I have a small question regarding the Study and Research Plan. The Master degree I plan to apply to does not include a thesis. It is a credit based Master degree. As such, where the form asks for my Research Plan and Research topic, should I focus on what the degree aims to teach and the different courses? I assume I should then try to link this to my particular interests? For the record, this is a Business Master Degree. Thank you for your help, amazing content in here! I didn’t know there was such a thing as a credit-based Master’s program in Japan. Even for MBAs, you should have some sort of culminating project, no? I assume that during the course of the degree, you will have some flexibility as to choosing what courses to take as well as what particular industry or case studies you want to focus on, so even if you are not writing a thesis or completing a culminating project, I would recommend that you write this document about what you will focus your individual research on throughout the course of your classes. It is not about the courses you will take, but what you will do your original research, analysis and work on. Clearly, I have never been enrolled in a business degree, but I hope that helps anyway! My name is Liza. I understand that I can only apply for the scholarship to study the same major as I had studied in undergraduate or a related field. My degree was on Professional Communications and the Media (Bachelor of Arts) but I may want to pursue a Master’s in tourism/business. This is because I am currently working in the travel and tourism industry. Should I indicate on the field of study that my proposed research has to do with my current job as opposed to the degree I received? Or should I just write my thesis without indicating past degree? Thanks a lot for your help! You have to relate your studies in Japan to your previous major, so you can’t just ignore it or choose to relate it to your job instead. You’ll need to come up with some way that you can connect your past studies to your current research. You can use your job as an additional reason to support your research, but not as a replacement for your past major. I want to apply this scholarship in 2019 but I run into difficulties with Mathematics A. Can you recommend me some sources to prepare this test without the previous test (cuz I did all of it and it is not enough for me) 🙁 ? That’s the only MEXT-related resource I know of. If you find a particular area in that test that you struggle with, then I would recommend that you look for general textbooks on that portion. Maybe someone else can comment with other resources. Firstly thank you so much for this wonderful guide. Thanks to you I had a good understanding of the research plan. Because I had never write a reseasrch plan or thesis before, this was a great help to me. I have one question and I will be happy if you can help me. I will be applying through embassy recommendation for master degree. As I had never wrote a thesis to finish my degree I am not sure what to write on Field of Study. In your article it says that we should mention the previous field of study and research subject. Field of study in this case should be my degree but what should I write for research subject? If you can help me on this subject I appreciate it. Even if you have never written a graduation thesis in the past, you can still write about whatever the specific focus of your undergraduate major was for this form. I would recommend writing about research/studies from your previous degree that is directly related to the research you want to conduct in Japan. What inspired you to come up with your research topic that you want to pursue in Japan? I’ve been wanting to apply for MEXT since I got my undergraduate degree years ago. But I was hesitant because upon reading the requirements, I felt like I’m not qualified. Can I apply for the Research/Master’s scholarship even if I’ve been employed for several years already? Yes, you can still apply after several years of employment! As long as you meet the age eligibility requirement, there would be nothing else to stop you. Hello, thanks for sharing this valuable instruction. I have requested a sample file for MEXT Scholarship Field of Study and Research Program Plan Elements. But I didn’t get any sample. If you kindly send me the sample, it will be helpful for me. Thanks in advance. The link on this article was to download a sample MEXT application form. Did you receive that by email? I have not yet created a sample Field of Study and Research Program Plan or a downloadable version of this elements guide. I plan to do so in the future, but it is part of a larger project that is taking me more time than expected to complete. If you signed up to download the form, then you’ll be on my mailing notification list, so you’ll be one of the first to know when I have those new resources available! Hi Travis, thank you for this valuable guide. I have a question regarding the study program. If I’m applying for the embassy recommended MEXT scholarship and I intend to go through all three periods of the scholarship if possible (that is, apply first to be a non-regular research student, prepare for entrance examination, apply for masters program and 2 year scholarship extension, and then apply for doctorate program and 3 year scholarship extension), should I lay out all 5-6 years of my research plan in the study program? Or should I only describe my research timeline up through the master’s program? I would recommend that you only lay out the research student and master’s student phase of your research, treating the research as the preparation for the Master’s research, not as a separate topic. You want to go up through your Master’s thesis. I have basically the same intentions as Vincent, so, continuing the topic – would it somehow damage me if I were to not mention my plans for Master degree onwards? I remember reading up that it’s up to embassy to decide to place me either in research or master’s student status, and I wouldn’t want to go straight for master’s the moment I arrive. Also, I’m graduating this summer and won’t have the thesis finished by the time of documents submitting deadline. Below you said that I could submit an abstract of an unfinished paper, but is this how it usually goes for students just gratuating or is this more of an irregular case? In the application form, there should be a place where you explicitly state whether you want to start as a research student or degree-seeking student and another place to state what your final degree goal is in Japan. It is not going to hurt your application at all to say that you want to start as a research student and continue to the degree. Ultimately, the decision of whether to place you in the degree program or to start you as a research student rests with the universities, not the embassy. They will consider your request, certainly. Usually, there are some administrative factors in that decision – for example, some programs only accept new students in one semester or the other, or others require you to start as a research student so that you can be physically present for the entrance exam – but it is very rare that I have heard of a university asking an applicant who wanted to start as a research student to go straight to the degree program, instead. For the abstract, I think a significant number of the applicants I worked with had not yet finished their thesis, or had not yet had it approved, by the time they applied. As a reviewer, I actually have no way of telling whether the abstracts I read were for completed papers or papers-in-progress unless applicants explicitly told me. Many did, and it was never a problem for us! My concern is also that I would have to plan out as much as 4 years of research month by month if I were to state that I’m going for master’s. And I have a hard time with just the research student’s timetable as it is already. If you’re planning to go from research student to master’s degree, typically you would only spend one semester in research student status before taking the entrance exam and enrolling in the degree program, so it shouldn’t be a whole four years that you have to plan. I think you may be going into too much detail, too. Some of the successful plans I’ve seen had timelines with 3-month blocks for activities, with detail levels like “literature review,” “experiment design,” etc. Remember you should be aiming to keep the Field of Study and Research Program plan with 3 pages or so. Maybe 5 at the most, though I wouldn’t recommend going that long. Keep your detail level at an appropriate point for that length. Hello, thank you for your exhaustive explanation! I’m really wondering now though, such a specific project plan is completely of our choice? Since at this stage applicants haven’t even applied yet, I imagine it is not something that has to be agreed with a prospective supervisor but it is 100% up to us. Am I correct? I’m just wondering because it would look like I’m just asking to carry out such a specific project without even asking my host laboratory…? On the other hand I doubt someone would be willing to develop/agree on a project with me without me even passing the first screening by which time it is too late. As the saying goes, “no plan survives first contact with the enemy.” Or the advisor, in this case. The purpose of writing a plan at this point is to prove that you can. You are not committed to carrying out that research exactly. I would recommend that you have at least a solid draft of your plan in place then start contacting prospective advisors with your idea. Get their feedback on how your research interests intersect with theirs and modify your plan accordingly. (Of course, this is assuming that you start early enough to do that). Even if you start late and don’t have time to get feedback, you should know – and your advisors ought to know – that your research plan is subject to change. Wow what an amazing post, I can’t thank uou enough!! Incredibly helpful, and I feel a lot more confident and prepared. Thank you!!!! I just wanted to give you my biggest THANK YOU. Your posts have helped me A LOT with the structure of my research plan. I started really late to prepare my documents because I just found out about the scholarship a couple weeks ago. Ever since, I’ve been worrying nonstop about what to write for the field of study and the study program. It’s been extra hard for me since I’ve never written a thesis before (I studied medicine so it wasnt a requiremente at my uni), and I´ve never really done much research either (again not many research facilities in my country). I’m still not 100% happy about it but at least you have helped me in making it more organized and understandable, so again thank you! You’re very welcome. I’m glad to hear that it helped and I wish you the best of luck with your application! I just came to say thank you, I don’t know how I could fill this form without all the information that you wrote here! You’re very welcome. I’m happy to help! Thanks for this clear and helpful guide. I think I have a good grasp on this part of my application now. I have a question related to a different portion the application. Is it required to submit an abstract of a thesis or other paper? I have not written a thesis for my undergraduate degree yet (will be doing that and graduating this coming fall semester) and on the application form I have marked that I haven’t written a thesis yet where it asks. On the list of documents to submit it says an abstract of your thesis, “if applicant has written” – so does that mean I don’t have to submit an abstract of a paper at all since I have not written a thesis yet? I’m sorry for the late reply. It’s probably too late to help, but my advice would be to contact your embassy/consulate for their guidance. They’re not always consistent, so it’s best to get the answer straight from them. 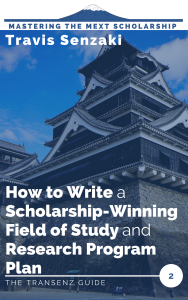 In most cases, Embassies (and Universities, for the University-recommended MEXT scholarship) would ask you to submit an abstract from any major paper/project you completed that is related to your field of study in Japan. Also, you don’t have to have finished the paper to submit an abstract. Typically, you have the abstract done earlier in the process, I think.